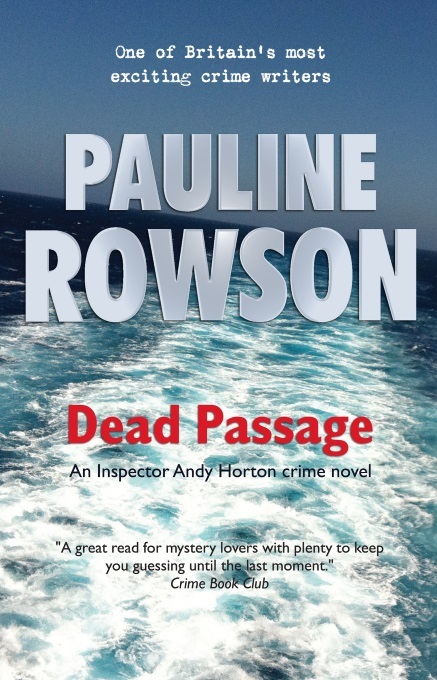 In this short video taken at Portsmouth Creative Event, Pauline Rowson talks about how she starts to plot her crime novels, which are set against the atmospheric backdrop of the sea on the south coast of England. Pauline Rowson is the author of nineteen crime novels, fourteen featuring the rugged and flawed Portsmouth detective, Inspector Andy Horton; three in the mystery series featuring Art Marvik, the troubled former Royal Marine Commando now an undercover investigator for the UK's National Intelligence Marine Squad (NIMS) and two standalone thrillers, the award winning, In Cold Daylight and In For the Kill. Her new 1950 set crime novel, Death in the Cove, featuring Scotland Yard detective, Inspector Alun Ryga is to be published in September 2019. DEAD PASSAGE (14) is now in paperback, e book on Amazon Kindle and Kobo and you can also reserve a copy at your local library. A mysterious telephone call sends DI Andy Horton on a complex and twisted investigation into the death of a local politician twelve years ago and uncovers a trail of lies, secrets and revenge with roots deep in the past.